Wenn du dich für diese Mission entscheidest, wird dein Team beauftragt, einen wichtigen Gegenstand aus dem Tresor zu holen. Mit dem Öffnen der Eingangstüre werdet ihr einen Alarm auslösen. Über Funk werdet ihr mithören, wie die Einsatzkräfte näher kommen. Ihr müsst Nerven bewahren und einen anderen Ausgang finden, denn vorne ist bereits alles umstellt. Spezialagenten, euer Plan ist einfach: Rein in den Tresor – wichtigen Gegenstand aufspüren – einen anderen Ausgang (Exit) finden. Bewertungen für Escape Game "Tresor"
Trotzdem sehr, sehr gut und durchaus empfehlenswert! We booked a Tresor escape 60 minutes challenge on a long weekend in Vienna. Neither of the 3 of us had any idea what to expect although within a very short time our apprehension turned into a sheer excitement and determination not to let this be the last puzzle challenge. Time-busters is a relative new comer to the market place of room-escape / treasure-hunt type of challenges. 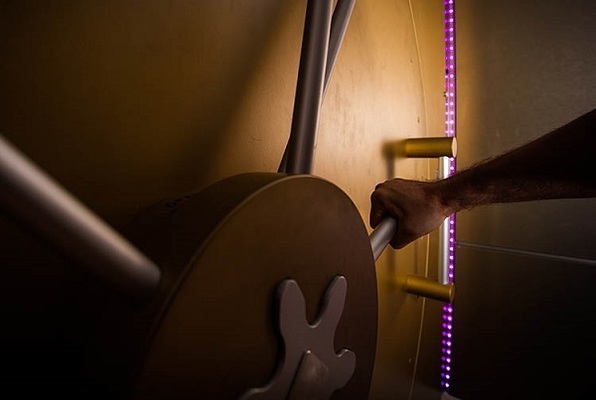 Without the marketing overheads of other better known companies, this group of engineers managed to create an hour packed with puzzle-solving fun in somewhat humble surroundings, adding to the authenticity of experience. Having not done this before, we had a rather slow start, although with just the right level of guidance from Ernest (one of the engineers) over a 'walky-talkie' it turned into an adrenalin hunt with frequent injections of new excitement as we managed to make our way to the Tresor and out of it to escape the police. This turned out to be a great way to bring yet another unique memory from Vienna and I would recomment to anyone who likes to test their puzzle-solving skills. It is suitable for all levels of experience / ability as the team will provide just the right guidance needed to keep it challenging yet fun.